The first time I ever had stroganoff was at my friend Marilee’s house. 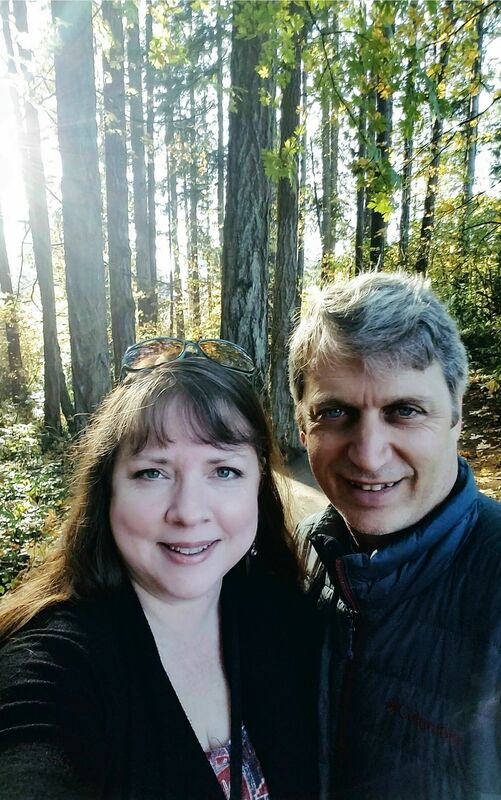 Marilee is one of my dearest friends in this life; we’ve known one another since we were three. Like me, her dad was a teacher and her mom was a nurse, and when we were kids, I loved spending time at her house. Marilee’s house was exciting, and so different from mine. Marilee’s family drove a VW Microbus and drank instant milk (eww) and she was always getting a new baby sister or something really cool like that. She had a little brother named Ricky and an older sister named DeeAnn who she shared a bedroom with. 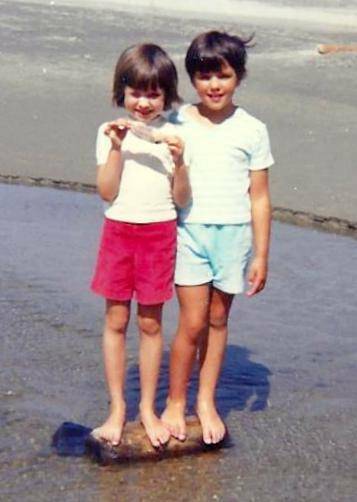 Me and Marilee in the Summer of ’68. Marilee and DeeAnn got into huge fights all the time and their room was always strewn with headless Barbies. (There were other toys too, I’m sure, but all I remember is those headless Barbies.) I thought her dad was wonderful, and I liked her mom for the weirdest reason: she treated me like one of her own kids – even to the point of yelling at me just like everyone else – and usually she made something interesting and delicious for dinner. Which brings me back to Stroganoff. When I was a kid, my mom didn’t make anything they didn’t serve in Missouri in 1943 (her words) so stroganoff was not an option on our table until I learned to cook. It was just too fancy and ethnic for Mom. So when Ruth Hall served up stroganoff to me for the first time, it took everything I had to not bolt the whole plate in a few seconds and ask for more before Marilee’s large family ate it all up. I loved the deep, creamy, rich flavors and the way it coated the noodles with just the right amount of saucey goodness. Oh my – I’m making myself hungry just thinking about it. To this day, Beef Stroganoff is still in the top ten on my Comfort Food List. Unfortunately, with all the various eating styles that our kitchen regularly accommodates, beef stroganoff isn’t often an option – but mushroom stroganoff is! 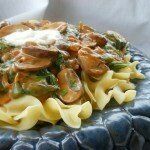 There are plenty of recipes out there for mushroom stroganoff, and I’ve tried a few, but they always seemed lacking something to me. It took me some tinkering, but I think you’ll find that my hearty, vegetarian Portobello Mushroom Stroganoff is savory, comforting, and oh-so-satisfying! Melt butter with olive oil in a large skillet over medium high heat. Add in the onions and garlic and cook until onions begin to soften, about 2 minutes. Add mushrooms and ½ teaspoon salt. 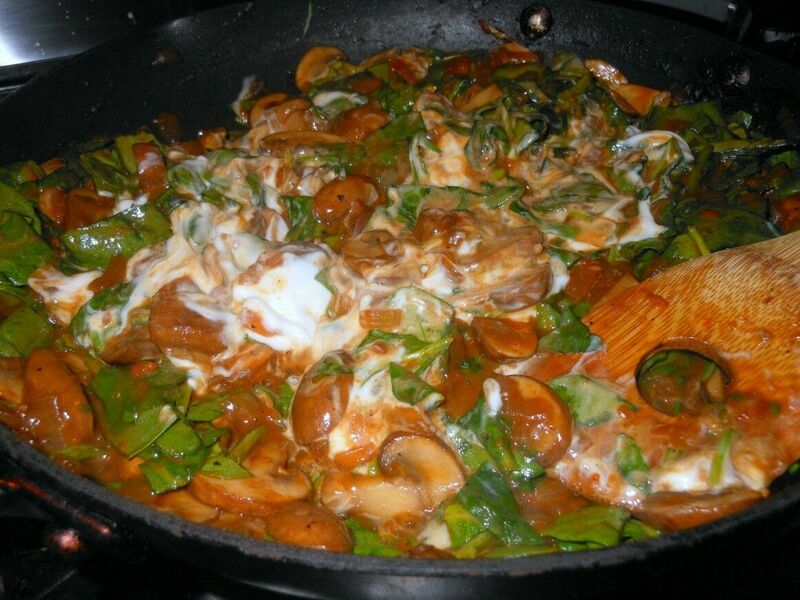 Cook until mushrooms begin to soften about 3-4 minutes. Continue to cook until liquid reduces by about half. Meanwhile, cook egg noodles according to package directions, drain and set aside. In a small bowl, combine flour, paprika, remaining salt, and pepper. Sprinkle flour mixture over cooked mushrooms and toss to combine. Toss to coat all the mushroom mixture. Add broth, wine and Worcestershire sauce to mushroom mixture and stir to combine. Stir in spinach, cover with lid and turn heat down to very low. (I just turn it off.) The spinach will wilt in just a few minutes. Just before serving, stir in sour cream and heat on low for a minute or two to bring it up to temperature. DO NOT BOIL. Serve over cooked egg noodles or rice. Just before serving, stir in sour cream and heat on low for a minute or two to bring it up to temperature. This meal all comes together and is ready to serve in about 30 minutes. Give it a try and let me know what you think! And thanks, Marilee – for everything. P.S. I’m sharing this recipe on the Weekend Potluck Recipe Linkup. Check it out for more great recipes! Renee, I LOVE reading about Marilee and your mom  You have such a great way with weaving your words. And, this dish looks so delicious. 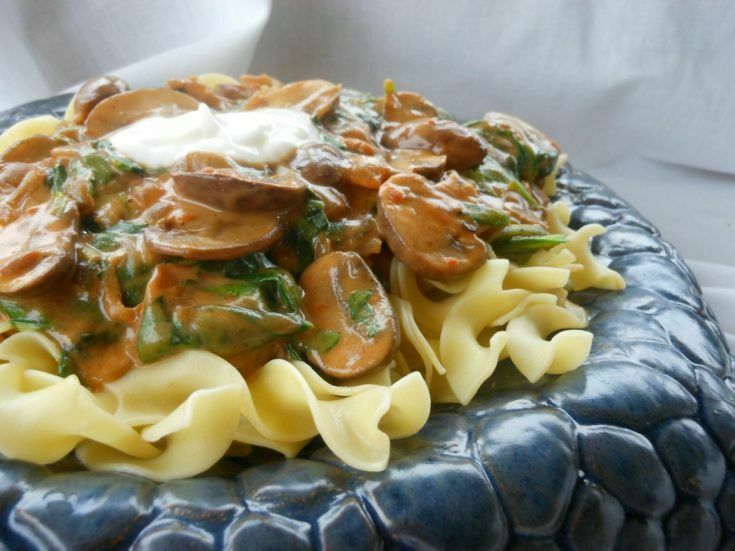 We have made stroganoff with chicken and beef before, but this mushroom version looks fabulous. I have to try it! Thank you, but it was an intentional omission: I don’t want to limit the possibilities. We all know Stroganoff is traditionally served over egg noodles, but I’ve also served it over potatoes, rice, and eggs – it makes for a pretty mean stroganoff version of Eggs Benedict. And if you happen to be of the meat-eating sort, this mushroom-heavy version is also de-licious over roast. 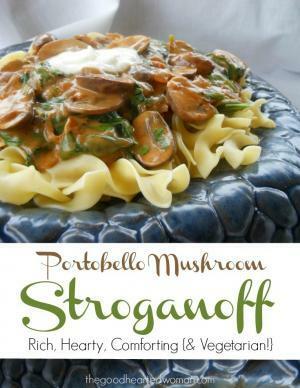 I love meaty mushrooms and I love the idea of this lightened up stroganoff! Thanks a lot for the recipe! I was wondering if there’s a substitute to be used instead of Worcestershire sauce? Thanks! If you are concerned about keeping it vegetarian, just use a vegetarian Worcestershire sauce like I do. If you just don’t have it, I’d probably sub in soy sauce. It doesn’t give it the same depth of flavor, but it will work. Question: I am unable to reconcile 2 ingredients with the recipe. Can you clarify? There’s olive oil on the list of ingredients, but I can’t find it in the recipe. The list indicates “1 Tbs salt, divided” but salt is mentioned only once in recipe. Good catch, Jeanne! I think I’ve made the necessary corrections now. The recipe calls for either 2 lbs of baby mushrooms or 4 large portabellas, which is a considerable difference, since I can’t ever find a single portabella that weighs more than a quarter pound. I went with six, since I figured they’d cook down a lot, and if they don’t, then there’s no such thing as too much mushroom. Oh my goodness, this is so delicious! Meaty and flavorful. The addition of spinach is genius! Easy to prepare, too.